I don’t have the slightest idea what’s going on in this picture, but a week after originally seeing it, it still cracks me up every time I see it. 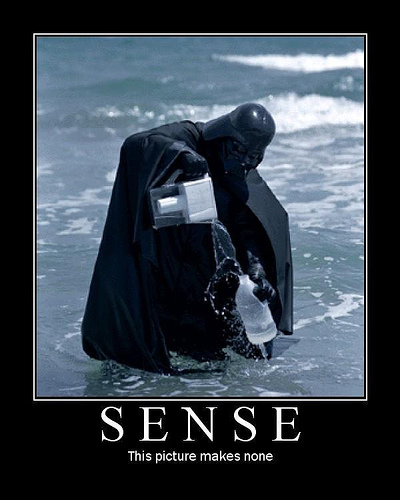 a buddy of mine burst the bubble on this one.. It’s a performance art piece by Daniel Bozhkov showing “Darth Vader tries to clean the Black Sea with a Brita Filter”, performed in 2000. It’s meant to be a political statement about the Black Sea, the most polluted body of water in the world. It looks like he is using the lid to a Brita water filter to pour ocean water into a jug.